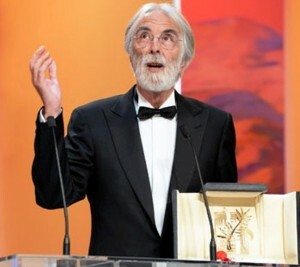 The highly gifted Austrian filmmaker Michael Haneke won his second Palme d’Or at the 65th Cannes Film Festival with his romantic thriller Amour (Love). His first Palme d’Or was for his film The White Ribbon in 2009. Thousands of filmmakers, distributors, movie buffs, tourists and others thronged the festival from May 16 to May 27, 2012. The President of the Jury for the main competition was the notable Italian director Nanni Moretti while British actor Tim Roth was the President of the Jury for the Un Certain Regard and the event was hosted by French screen diva Bérénice Bejo. There were 22 films in the Official Selection and Egypt was the only African country in competition this year, but her entry Yousry Nasrallah’s Baad El Mawkeaa (After The Battle) did not win any prize. The following are all the selected films and winners, including winners of other awards. Georges and Anne are in their eighties. They are cultivated, retired music teachers. Their daughter, who is also a musician, lives abroad with her family. One day, Anne has an attack. The couple’s bond of love is severely tested. World news about “Awards” published by euronews. Oscar pointers in SAG Awards? This entry was posted in Competitions, Featured, Film Festivals, Kulturati, Life & Style, News, World by admin. Bookmark the permalink.